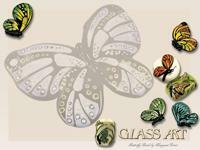 Free wallpaper inspired from the July/August issue of Glass Art! Glass Art Magazine is happy to bring you free artist's wallpaper for your computer's desktop. 1. Determine your computer's screen size and resolution. We've provided 3 standard display sizes in 4:3 ratio (800x600), (1024x768), and (1600x1200), and one wide-screen version in 16:9 ratio (2520x1575). 2. Then simply click on the corresponding image size of your favorite picture. A new window will pop up with the full-size wallpaper. You can then drag that picture onto your desktop, or save the image by right-clicking on it. 3. Adjust your computer's preferences or settings so that the new image is your desktop wallpaper. Be sure to check back for new wallpaper each quarter. 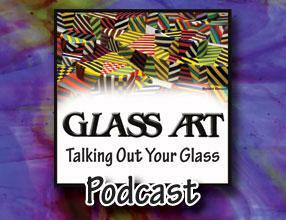 You can also sign up for Glass Art Magazine's bi-monthly newsletter to be notified of our latest images. We'll post more free wallpaper with each issue update!